It was pure pleasure to read Unseen City (1). Unlike most nature writing, Nathanael Johnson asks readers to notice and appreciate the urban nature that we tend to take for granted. Ironically, the plants and animals that we see every day and in great numbers do not get the attention they deserve. Most nature writing tends to focus on rare and remote species to which we have little access and often laments their absence where we live. Conservationists often advocate for expensive programs to reintroduce rare species to urban centers where they haven’t lived for decades, if not centuries. Johnson’s focus on the ordinary species around us is refreshing. We were happy to take a break from the usual hand-wringing about loss of biodiversity and instead enjoy the richness and beauty of the nature we have. It is our loss when we ignore the nature we have. Johnson’s intense focus on urban species reveals that they are every bit as interesting as the rare species we seldom see. Johnson’s approach to nature is analogous to the optimist’s “glass-half-full” approach to life. Another appealing aspect of Johnson’s approach is that his story is told from the perspective of a young father, introducing his toddler daughter to the mysteries of nature. One of our primary concerns about the museumification of our parks by native plant advocates is that children are being deprived of the opportunity to interact with nature. Being required to stay on trails or observe from behind fences is no way for children to appreciate the complexity and beauty of the natural world. Johnson takes his daughter deep into the weeds to experience nature in a physical, tactile way. Johnson wrote his book while living in San Francisco and then in Berkeley. So, the species he encounters and studies are those with which we are all familiar. Here are some of the creatures he tells us about, with a few of the interesting things we learn about them. Pigeons are reviled by many serious bird watchers. In fact, they are remarkable creatures in many ways. They mate for life and they are extremely devoted parents. They tend to nest in the same place and their ability to find and return to that nest from long distances is one of the reasons why humans have formed intense relationships with them. There is a long tradition of keeping homing pigeons that are raced by their keepers in competitions that occur all over the world. The pigeons are taken long distances from their nests and then timed on how long it takes them to return home. Johnson tells remarkable stories about how pigeons overcome challenging attempts to prevent them from finding their way home. 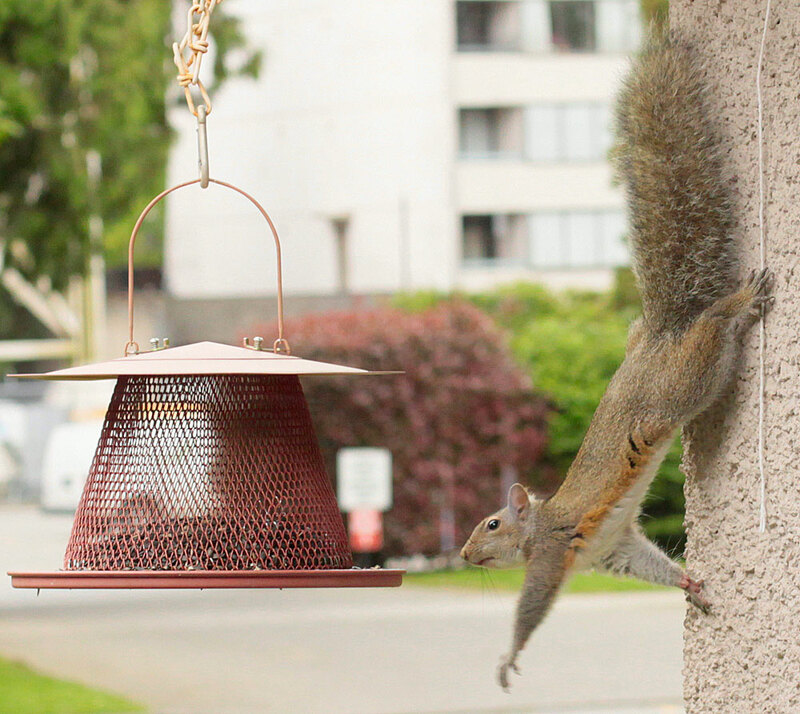 Squirrels are both extremely agile and very resourceful. Here is an example of how squirrels defeated an attempt to keep them out of a bird feeder: “…squirrels had to climb up through a vertical pipe, leap onto a blade of a spinning windmill, cling to it, and then sail off on the right trajectory to land on a platform. Then they had to go paw over paw upside down along a suspended chain that passed through a series of spinning disks, negotiate a revolving door, run through a slack canvas tube, and keep their balance while crossing a pole covered with slick spinning rollers. From there, it was a six-foot jump to another tunnel, through which they had to ride a sliding vehicle made to look like a rocket ship by pushing it along with their paws. Finally, there was an eight-foot jump to the food.” (1) I retell this to story to spare our readers the pointless effort of trying to prevent squirrels from raiding their bird feeders. 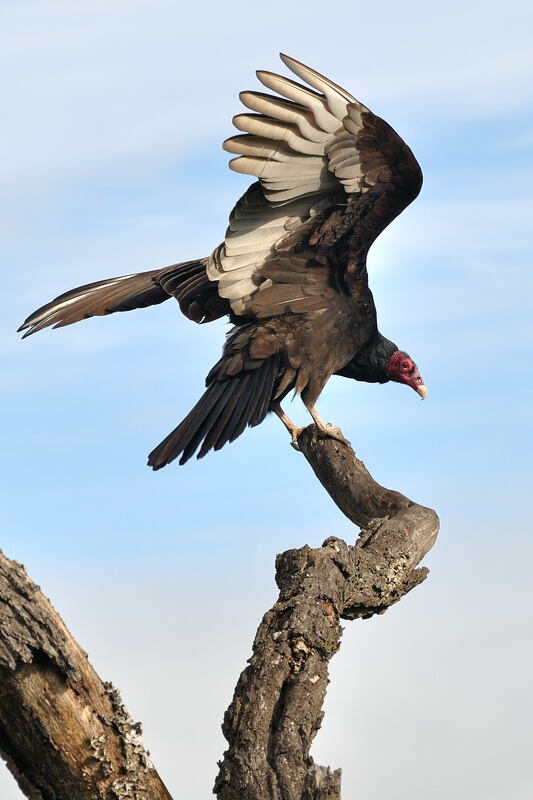 The turkey vulture is another underappreciated bird. They eat primarily dead animals and many of those animals died of diseases or toxic chemicals and are rotten and maggot infested when they are finally found (by smell) and eaten by the vulture. The digestive and immune system of the vulture is capable of detoxifying chemicals and killing bacteria and viruses in the dead animal. In other words, the vulture is cleaning up the remains of dead animals. India has learned the value of vultures the hard way. They killed many of their vultures with an anti-inflammatory drug they were feeding to their livestock. When their vulture population dwindled, they were buried in dead animals, many dangerously diseased and toxic. We eradicate animals at our peril because we often don’t understand the roles they are playing in the ecosystem. In addition to asking his readers to appreciate the positive qualities of the creatures in our cities, he also asks us to reconsider the deep prejudice against them that has become the conventional wisdom. Plants and animals that people believe were transplanted by humans into places where they did not exist in the distant past are considered “alien invaders” that dominate their predecessors, driving them out and reducing biodiversity. This narrative, which originated in academic science as “invasion biology” in the 1960s, has become a popular story with the media, which is always attracted to scary stories. The media is significantly less interested in the peaceful resolution of their horror stories. With few exceptions, an introduced species that initially seems to be a problem eventually fades into the woodwork to become just another player in the ecosystem. Johnson uses the Argentine ant as one of many examples of an introduced species that spread rapidly, but 20 years later has nearly disappeared. In other cases, a species initially considered an unwelcome intruder becomes a valuable asset, such as zebra mussels which filter pollution from lakes and have become a source of food for diving birds. “Because they are associated with human disruption, the organisms that spring up from our footprints look like corruptions of nature. But I’ve come to see it the other way around: These species represent nature at its most vital and creative. The ONLY known Raven’s manzanita plant is in the San Francisco Presidio. Its exact location is a secret to protect it. Vast sums of money are being spent in often futile attempts to reintroduce rare plants and animals to urban environments where they have not lived for a long time. The National Park Service and San Francisco’s Natural Resources Division are having little success with their efforts to reintroduce Mission Blue butterflies. 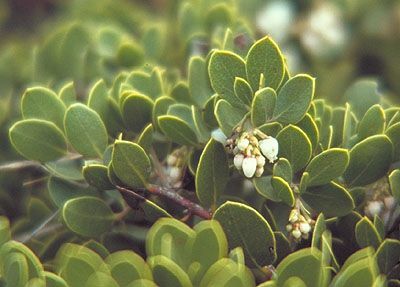 After over 30 years, the National Park Service has still not successfully germinated endangered Raven’s manzanita from seed. These fruitless efforts are not just wasteful of resources, they also inflict damage on the environment by using pesticides and setting fires to eliminate competition and destroying trees to increase sunlight on rare plants and host plants of rare insects. The veneration of rare plants and animals is often at the expense of the plants and animals that are adapted to present environmental conditions. 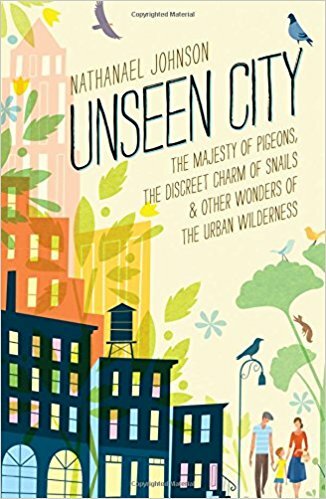 In Unseen City Nathanael Johnson invites us to place greater value on the ordinary creatures who are capable of living with us. We can treat them with the respect they deserve by not destroying them in pursuit of a fantasy landscape populated by fantasy creatures that are not capable of surviving the changes we have made in the environment. This is a great review of what sounds like a fabulous book. I don’t know if the remodeled Ecology Center still has a library, but if so, I’ll recommend this book for them. Thank you for this wonderful article!!! I hadn’t known about the maligned zebra mussels, and you are so right about how enormous money and energy is spent “protecting” a single species, but I suspect the bulldozing and poisoning that’s done in the process could very well be harming other rare species. It certainly harms many species we know about. I want to add that for many people who are not able to or allowed to keep pets, having wild friends can be so important. The sweet California Ground Squirrel has been wonderful in making friends with humans, and yet are still targeted with poisoning in our parks. They make more habitat for other animals too, like Burrowing Owls. And they have extensive language and warning calls that help protect other species from predators. There are lovely documentaries about their Prairie Dog cousins, but none about the Ground Squirrels that I know of. Where I live in Oakland, we are lucky to have Fox Squirrels, but they are always under siege from humans and predators. Still, our squirrel friends come into our house and are so loving and friendly. We are told to not feed them, but why not try to offset how humans harm them? One tree they rely on being cut down has a horrific impact. So I do help them each day. They are training us also, and I can hear one calling me now…. Thank you for your advocacy for trees.